"Beins and Renkel create spontaneous compositional structures, by finding musicality in non-musical sounds... there's a beguiling opposition between tone and noise... The result is an intensely musical improvised sound art, by players uncannily gifted in exact choice and fine replacement of sounds." "Beins and Renkel's fractured instrumentation ... rock out to a scattered beat of madness, joy and sheer bedlam"
Activity Center was founded in 1989 when post-war Germany stumbled into a new era and post-punk finally felt worn out. Renkel and Beins played their first concert in the legendary Hannover underground club 'Silke Arp bricht', and their second one as part of a Guenter Christmann 'Vario' project. After the duo had been the core of the 'Hamburger Salon' for a while it re-established itself within the freshly evolving Berlin Echtzeitmusik scene around 1995. Their Berlin version of the '2:13 Club' at 'Vollrads Tonsaal' became a central meeting point of the so-called 'Berlin Reductionism' and its like-minded companions from London throughout the late 1990's - at a time when this musical episode didn't have any names yet. Activity Center gained some recognition for playing its idiosyncratic version of it and consequently became one of the original ingredients of the renown Berlin septet Phosphor at the turn of the millennium and throughout the decade of the group's existence. Over the course of 30 years Activity Center has developed a unique style of musical performance. 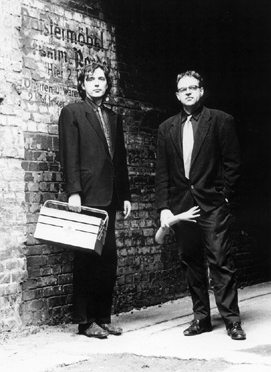 Their long sold out double-CD 'Möwen & Moos' (1999) has been regarded as a milestone of its genre, while they have managed to build bridges between generations and styles with their CD 'Activity Center & Phil Minton' in 2005. 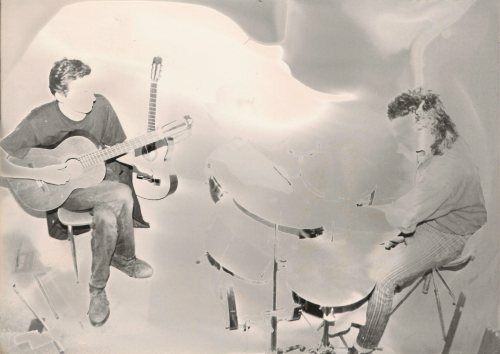 With 'Lohn & Brot', their release from 2010, they have summed up their wide range of musical experience with electro-acoustic grit. 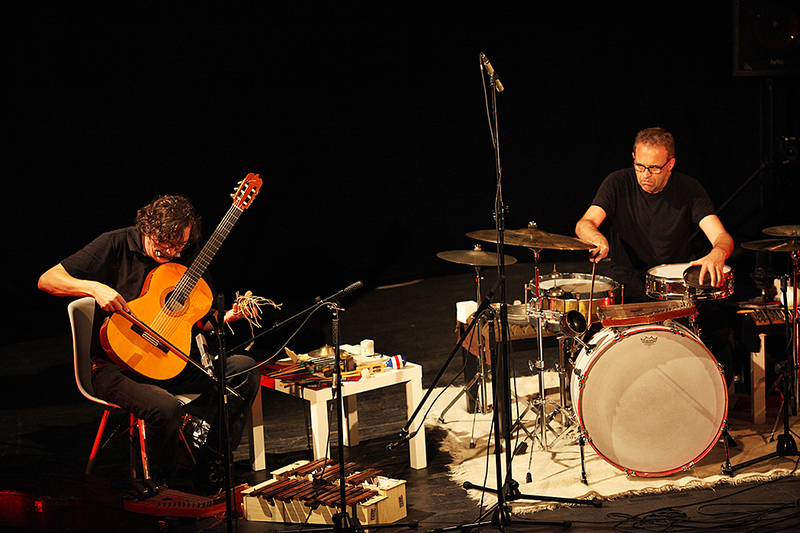 "This music adds new meaning and new vitality to the 'genre' of guitar and percussion improv - in fact it ignores the genre altogether and creates something better. Other improv players dream, in their politically correct and polite way, of leaving enough space for their fellow collaborators to perform... Activity Center go one stage further, and create that space - defining huge areas of interactive possibility between the notes... Renkel and Beins use their brains, they can actually play and improvise in meaningful ways, and they connect and interact to produce music and sonic effects of the first water. This method - and this music - guarantees your listening delight - you sit and wait in fascination. What will come next?" 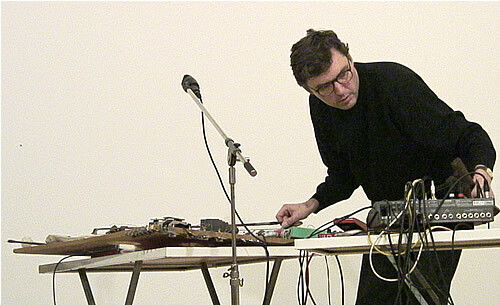 has worked in the area of combining contemporary composed and improvised music. 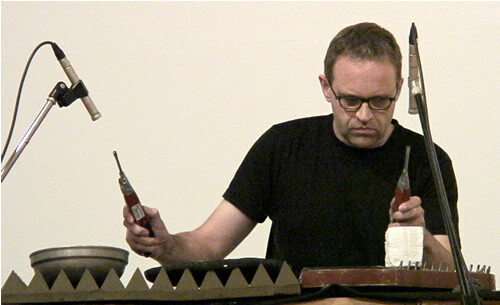 - Two full length performances (five hours) of Cornelius Cardew`s "Treatise" (1998/1999). - Pricewinner of the Wettbewerb für Junge Kultur/Düsseldorfer Altstadtherbst 1999.
with Phil Durrant,violin and Rhodri Davies, harp, British Arts Council tour 1998. (with Alessandro Bosetti, soprano saxophone, from 2000-2005).